a two-hour evacuation order in the town of Laverne. 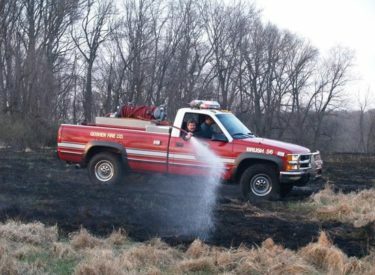 about 1,100 people were urged to leave their homes at 4:30 p.m.
Monday as a fire moved to within a mile of city limits. to three homes before it was contained. No injuries were reported. Laverne is about 40 miles northwest of Woodward.